I hope that you all had wonderful Easter with your family and friends. 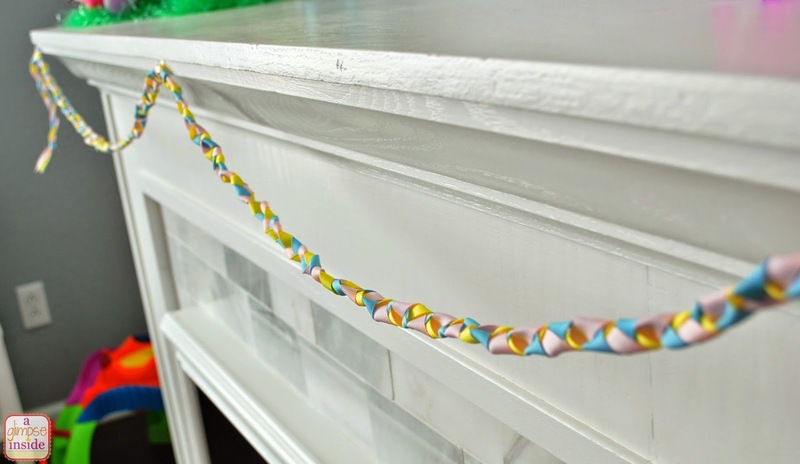 I have another super easy and cheap project for you today. 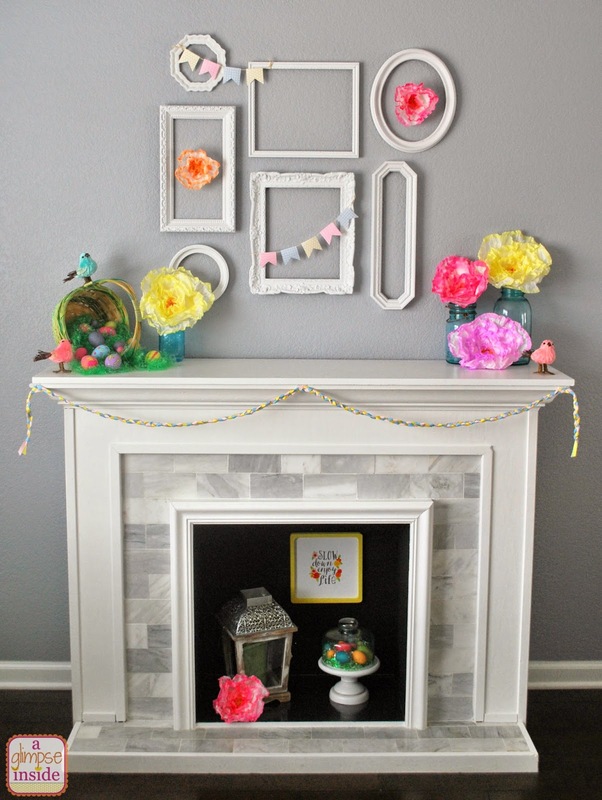 You caught a glimpse of it on my spring mantle and today I am sharing. 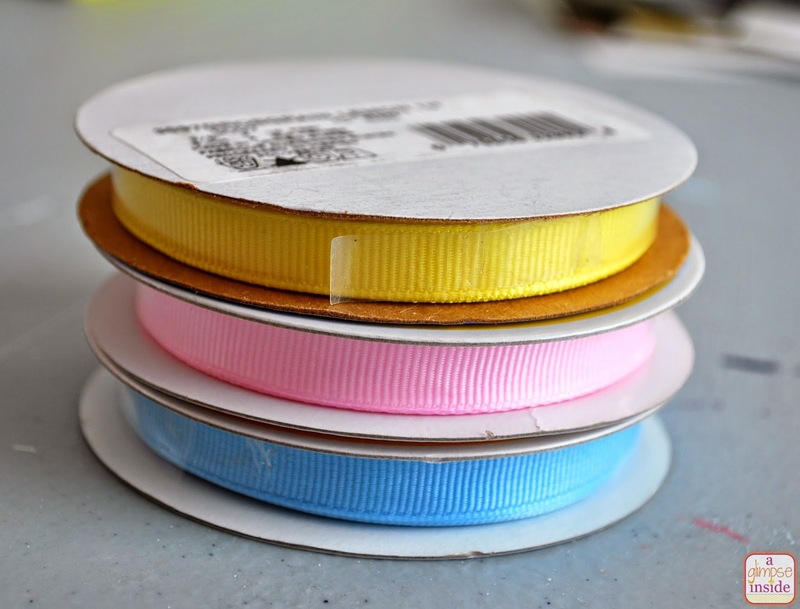 -3 spools of ribbon in the colors of your choice. 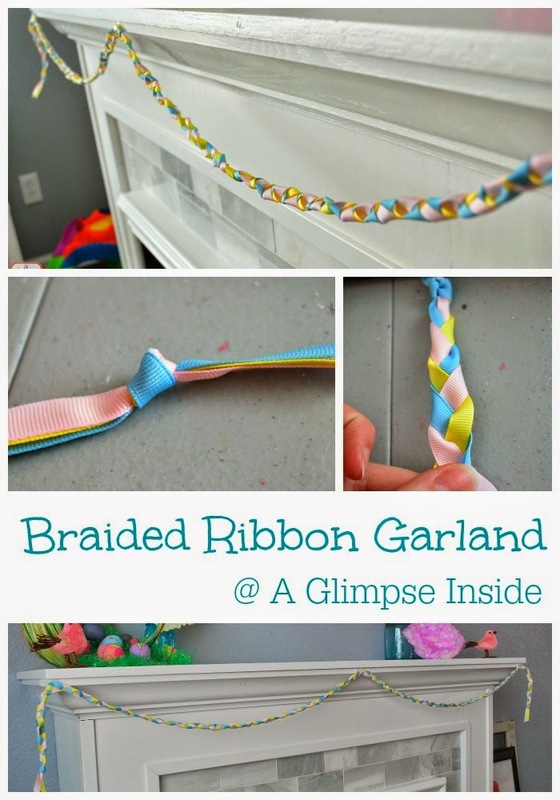 I used 1/4 in ribbon but you may be able to try the next size up as well. 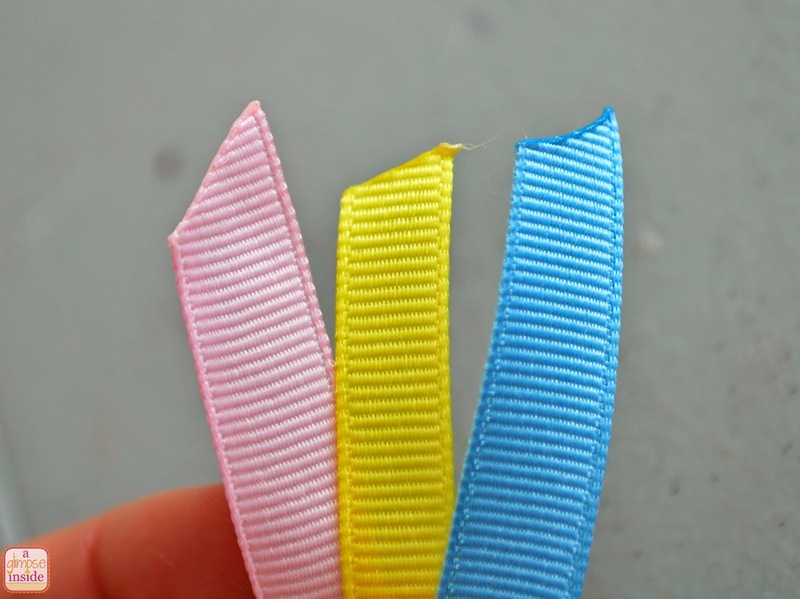 I started by burning the ends of my ribbon so it would prevent them from fraying. 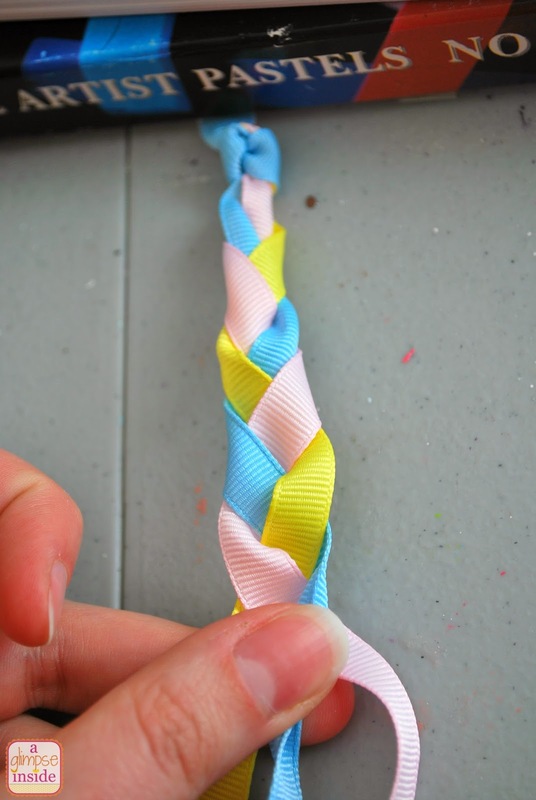 Tie the ribbons together in a knot. I placed something heavy on the ends of the ribbon and then just started braiding. I did NOT cut my ribbon off the spool before braiding. It was a bit of a pain because I had to periodically untangle all the spools but since I didn't know how much ribbon I would need exactly. I figured I would need to at least double my length if I measured it but wasn't positive so I just kept them on the spools. Continue braiding until you have the length you desire. Then just place another knot in the end and burn the edges. I actually brought mine down to my mantle when I thought I had the correct length. It was still too short so I just continued working on it until I had the proper length. I wish I had used slightly brighter colors but I am like it! I like that it isn't traditional garland as well.